Businesses rely on data every day and how this data is stored is of critical importance. Data has to be accessible at all times, but it also needs to be fast enough to keep up with the speed of modern business. Today, Thecus® is proud to launch its latest 2U rackmount NAS device – the N8800PRO. 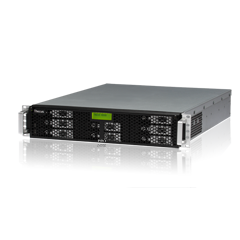 With outstanding performance, rock-solid stability, and complete flexibility, the N8800PRO sets a new standard in enterprise storage. 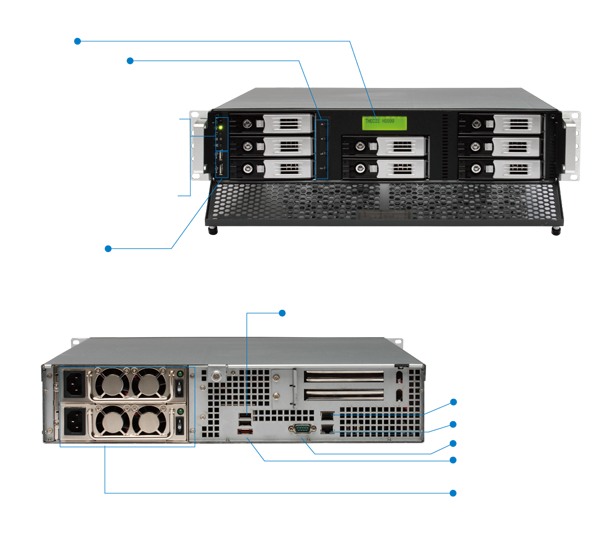 To enable businesses to access their data as quickly as possible, the N8800PRO features a multitude of performance enhancements. 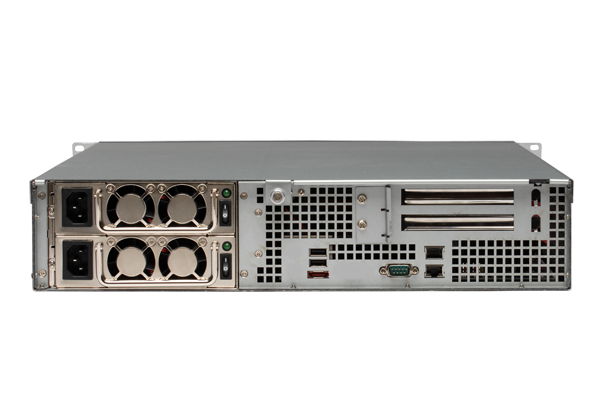 Powering the N8800PRO is an Intel® Core 2 Duo processor coupled with a full 4GB of DDR2 800 memory for lightning-quick system response and increased concurrent connections. All of this technology allows the N8800PRO to achieve data transfer speeds of over 300MB/s! And to ensure compatibility with future technologies, the N8800PRO even comes with an internal PCI-e slot. 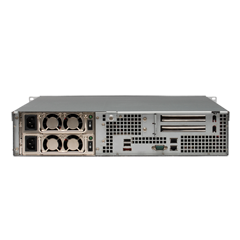 which enables users to install a 10Gbit PCI-e NIC for greatly increased throughput. In terms of storage, the N8800PRO comes equipped with eight 3.5” SATA hard disk bays for a maximum of 16TB of storage. 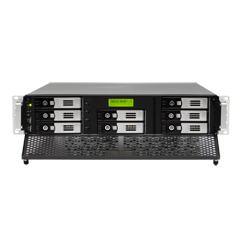 System admins that require more storage can actually attach up to five different N8800PROs to it and manage them all using one master device using the stackable feature, or use the N8800PRO with iSCSI initiators. 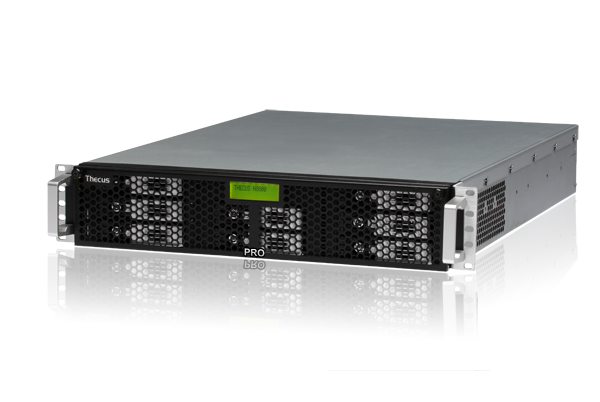 The N8800PRO even supports iSCSI thin provisioning! Expandable and flexible, the N8800PRO can grow along with your business. Of course, data security and reliability is the other half of the equation, and the N8800PRO has your business covered. 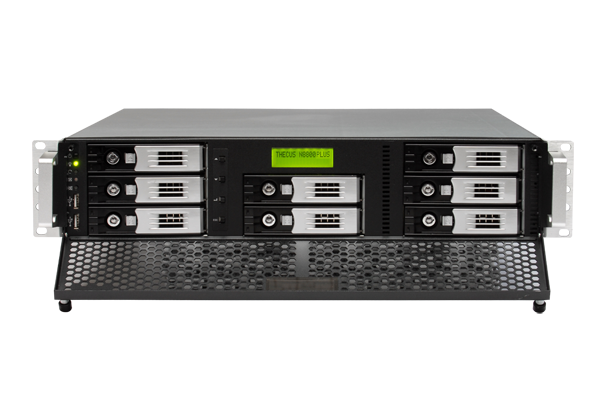 First off, users can multiple RAID modes on the same unit, including RAID 0, 1, 5, 6, 10, and JBOD, to match the most suitable usage model. 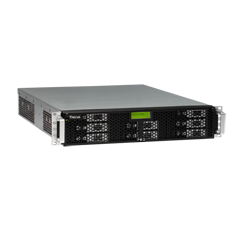 Online RAID expansion and migration have all been included, and for maximum uptime, the N8800PRO also features a Dual DOM™ design that features a secondary DOM, which automatically reprograms the primary DOM should any malfunction occur. 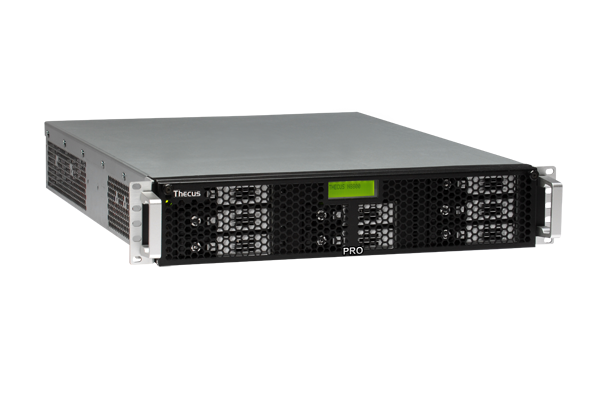 The N8800PRO also has a redundant power supply and is compatible with UPS units to ensure that businesses can access their data at all times. 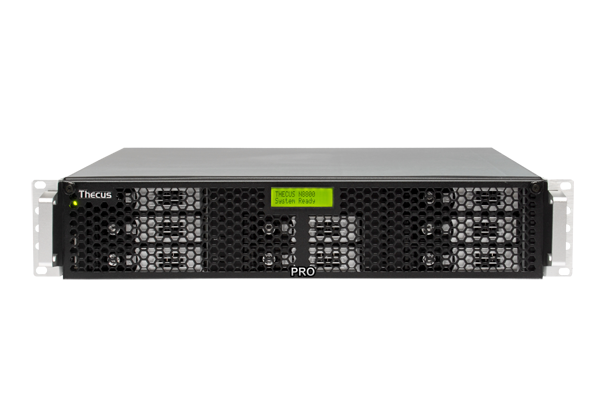 The N8800PRO easily integrates into virtually any corporate network with multiple file system support (Ext3, XFS, and ZFS), multiple operating system support (Windows, Mac, and Linux), and even multiple languages. 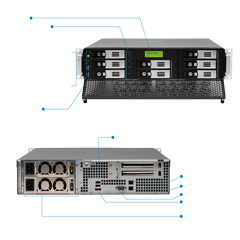 With the popularity of VMware, virtualization technology is now widely used in the IT world. Thecus® is now the member of Technology Alliance Partner (TAP).